Runtime:130 minRated PG-13 for sequences of intense sci-fi action and violence throughout, and brief suggestive content. 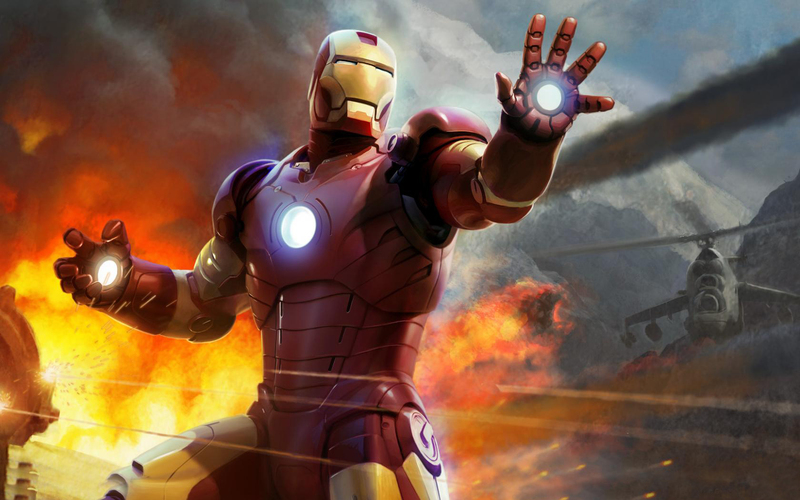 Iron Man 3 is a superhero action film with some drama thrown in. As a story it has this theme: your actions will have consequences. Seems simple enough. The movie starts out with Tony Stark (Robert Downey Jr.), the man behind the Iron Mask, saying “A famous man once said we create our own demons.” Within minutes this is playing out; back in the 1999, at a New Year’s party, we have Stark in a one night stand with a promising young scientist, leaving her a note that says “You know who I am,” as he abandons her. In these scenes we also see Stark brushing off a socially awkward young male scientist with the promise of an appointment that Stark never intends to keep. The optimistic man waits for Stark to come but he never does. Stark is shown lying and committing adultery and the viewer knows that these are the sins that are going to come back to haunt Stark; they will ultimately be the “demons” that he will have to face. The Epistle of James says, “Each person is tempted when he is lured and enticed by his own desire. Then desire when it has conceived gives birth to sin, and sin when it is fully grown brings forth death.” Iron Man 3 is a film in which Stark’s “fully grown desires” bring forth death. The focus in this film is the man and not the machine. The central villain of Iron Man 3 is the mysterious Mandarin (Ben Kingsley). As an antagonist the Mandarin is presented as a demon of America’s own making, one that wants to teach America lessons based on political accusations. Stark seems to be an “innocent” bystander in all of this, caught up in the terror because of his big mouth. The Mandarin’s true motives are not revealed until the film’s climax. Dealing with these events (or not dealing with them) is Tony Stark, who is overcome with anxiety following the events of last summer’s blockbuster film The Avengers. He can’t sleep, he’s become detached from the one person he loves—Pepper Potts—, and he is consumed with worry about the possibility of future alien attacks. While the film does an admirable job exploring anxiety as compared to other super hero summer blockbusters, one is reminded that this is a popcorn movie and it never delves that deep into anxiety; it’s even occasionally played for laughs. Anyone with a very real anxiety disorder may find the film to be a little insensitive. There is no one there telling Stark, “do not be anxious about anything, but in everything by prayer and supplication with thanksgiving let your requests be made known to God. And the peace of God, which surpasses all understanding, will guard your hearts and your minds in Christ Jesus.” There is no one there comforting Stark with Christ’s words, “Do not be anxious about your life, what you will eat or what you will drink, nor about your body, what you will put on. Is not life more than food, and the body more than clothing? Look at the birds of the air: they neither sow nor reap nor gather into barns, and yet your heavenly Father feeds them. Are you not of more value than they? And which of you by being anxious can add a single hour to his span of life?” In this film Stark has made dozens of iron suits to put on and can fly better than the birds of the air, and when it comes to food and drink he has everything that he needs and more, yet he is anxious in the face of trouble. Material blessing are not a source of contentment for Stark’s character, just as his iron suits aren’t the source of his confidence or courage. He has little in common with the poor man who needs to find contentment in simple work and simple things and more in common with King Solomon who struggled to find contentment in grand works and grand things. In this way, Iron Man 3 echoes the first two chapters of Ecclesiastes. Stark struggles to take stock of his life and answer the question, “Has he been blessed with abundance or cursed with it?” In the end he seems happier fighting external demons than internal ones. These external “demons”—the minions of the Mandarin—come complete with glowing red eyes and are full of ‘hell fire.’ But like the Mandarin, they are not what they appear to be. Surrounded by explosions and spectacle, Stark must wrestle with his own demons of vanity, selfishness, and anxiety. No iron suit, no matter how invincible, can protect him from these demons which plague him internally. With a PG rating this may look like a great action film for kids, but small children may find some of the scenes to be frightening and violent, and the drama is decidedly focused on Stark’s struggle with anxiety, a topic that may not appeal to young viewers. That being said Iron Man 3 has some laughs and delivers what people expect from a slick big budget summer blockbuster; lots of explosions, some plot twists and heroics in the face of certain doom. For the casual viewer this film is a little inaccessible, it assumes that you know a lot going in; if you’ve never seen an Iron Man movie you may want to watch the first Iron Man and follow that up with the Avengers before jumping into Iron Man 3. And for a film that has, as its core, the theme: “your actions will have consequences,” in the end there were few lasting consequences to Starks deeds. 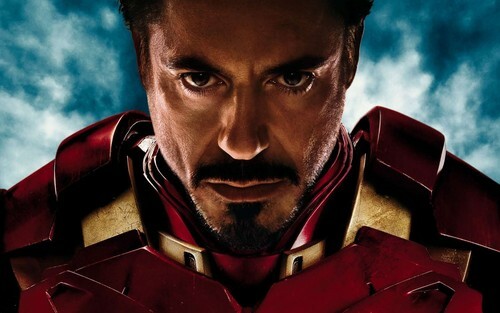 Iron Man 3 had the tagline on its posters that read “Unleash the power behind the armor,” but it could just as easily have had the tag-line “All's well that ends well.” By the end of the film Stark predictably concludes were he began answering the question, “you know who I am,” with “I am Iron Man.” While this movie does wrestle with some deep topics, it’d be good to remember that this isn’t Shakespeare and Tony Stark isn’t Hamlet; Iron Man 3 is a rip roarin’ popcorn movie right down to the centre of its electromagnetic heart.